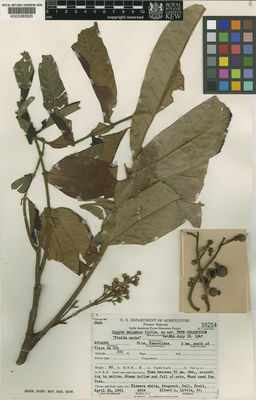 Genus: Guarea Allemão ex L.
This species is accepted, and its native range is W. Colombia to NW. Ecuador. Nativa en Colombia; Alt. 20 - 50 m.; Pacífico. Pennington, T.D. & Clarkson, J.J. (2013). revision of Guarea (Meliaceae) Edinburgh Journal of Botany 70: 179-362.